Nandrobolin is a high-anabolic steroid drug designed to build lean muscles, based on the active steroid nandrolone decanoate. The drug is manufactured in India from the company Alpha Pharma. Available in a pack of 10 ampoules. One ampoule of 1 ml has a concentration of 250 mg of the active ingredient. The main action is aimed at increasing muscle mass, relief, increasing strength and endurance. You can buy Nandrobolin Alpha Pharma 10 ampoules of 1 ml each in Chicago, as well as in other cities of USA, from the site of our online store. For customers we have delivery in all cities of the country. Quality assurance of the drug without overpayments. In the assortment, only originals of popular steroids without fakes. Many popular nandrolone-based drugs are not readily available for purchase. However, the drug Nandrobolin from the company Alpha Pharma is one of the popular steroids available. Demanded in many sports. Used by athletes regardless of level of training. 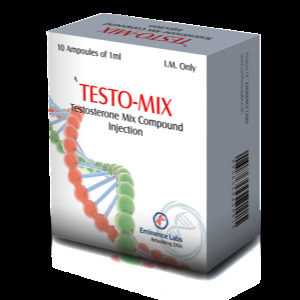 High anabolic activity from testosterone is 150%, is an indicator of the effectiveness of the drug in the application, and low androgenic activity is equal to 30% indicator of minimal side effects. Not aromatized, minimal estrogen convention. 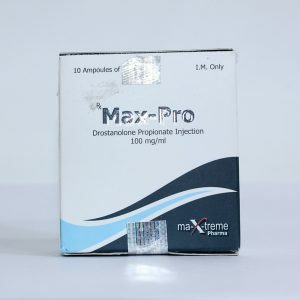 The main effect of the drug is high-quality dry muscle growth with increased strength and endurance, which allows for training more efficiently and with greater stress, and the strengthening of the joints prevents the appearance of injuries. There is also the property of enhancing the effect of steroids combined with it. High anabolic and low androgenic effects play an important role in the efficacy and safety of the drug. Associated with them is the power of positive and negative effects. Nandrolone does not have high aromatization and does not lead to estrogenic side effects. 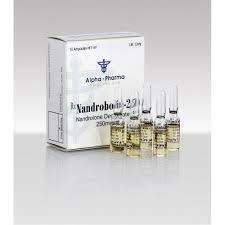 Alpha Pharma’s nandrobolin is a strong anabolic steroid with minor side effects. Most often this is just a bad feeling that occurs during an overdose. In order to avoid negative effects, you should follow the rules and recommendations of the course application – the use of aromatase inhibitors, after a course of rehabilitation therapy, adherence to the recommended dose and duration, diet, exercise. The first thing you need is to check the body for contraindications. Get a consultation with a doctor and pass tests. In the presence of contraindications use of a steroid is not desirable, as it can aggravate health. It is used only by healthy athletes. Dosages are selected by the doctor individually for the body and the level of training of each athlete. The course lasts for a month, about 4 weeks, and allows you to gain up to 8 kg of dry weight. The half-life of the active ingredient is about 15 days and depends on the characteristics of the organism. Injection frequency occurs no more than 2 times a week. Suitable dosages range from 200 to 600 mg. For beginners, it is better to take the minimum dose with a constant check of the drug’s reaction to the body and to be tested. Professionals tolerate high doses, but with them the risk of side effects is high. Nandrolone decanoate enhances the effects of other steroids. Combined course will help to achieve the desired result. Steroids are selected depending on preferences and desires.